A long eventful year passed. Now it's 1720 in the West Indies. Peace is to be signed soon, and the former enemies will get allied against the common foe - pirates, looting indiscriminately. Privateers remain in the business only for hunting pirates. Will our pirate crew survive? Which side are you on? 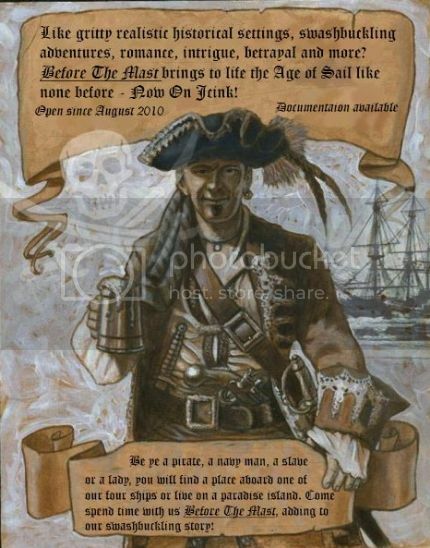 Sharpen your blades, load your guns, drain that last sip of rhum and join our adventures, spreading death BEFORE THE MAST!